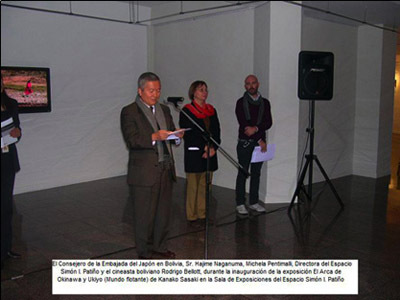 this is the opening reception of the show in La Paz, Bolivia. embassador giving a speach. My dearest friend, Rodrigo introduced my work for me and Michela, the director of the space.